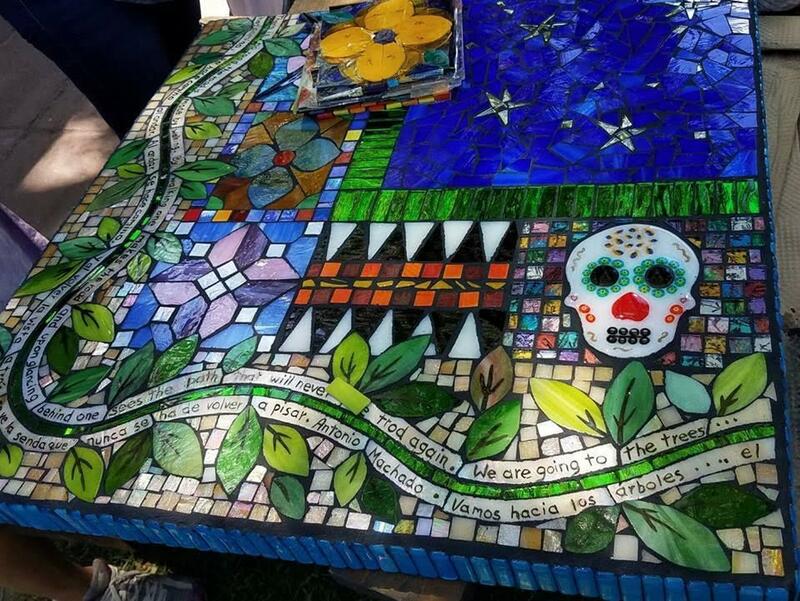 Work on mosaic table with Paradise Art Glass. Work on pots at Carbondale Clay Center. Work along the Rio Grande Artway in Carbondale continues. 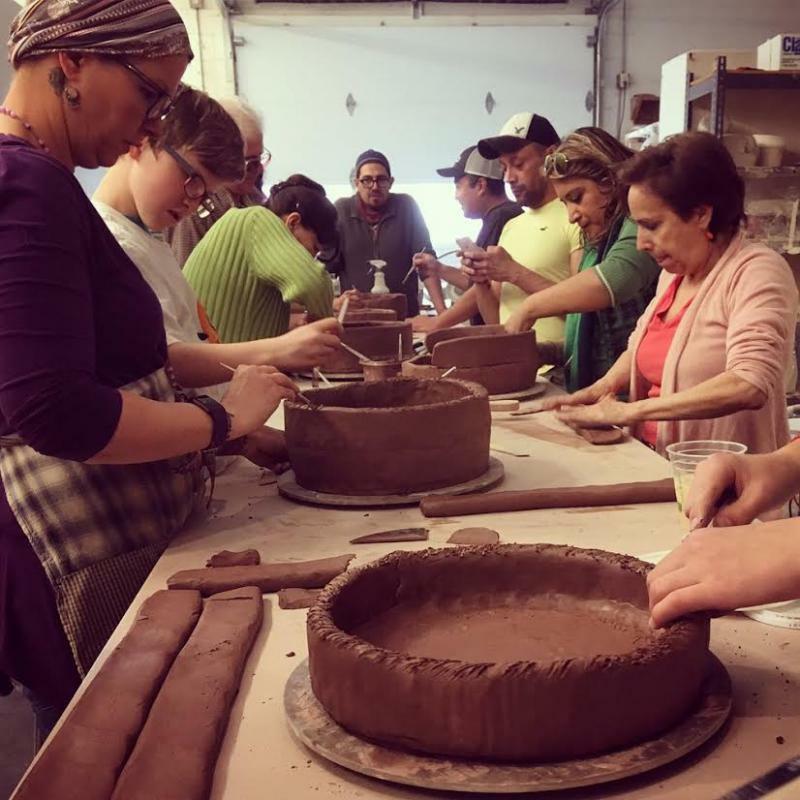 This weekend there is an opportunity to volunteer at the Latino Folk Art Garden for a final planting and the installation of six giant clay pots, created at the Carbondale Clay Center. KDNK’s Raleigh Burleigh spoke with Amy Kimberly, executive director of Carbondale Arts, to learn more. Work at Latino Folk Art Garden, at the intersection of 8th street and the Rio Grande Trail, is Sunday, July 8, from 2 to 5pm. 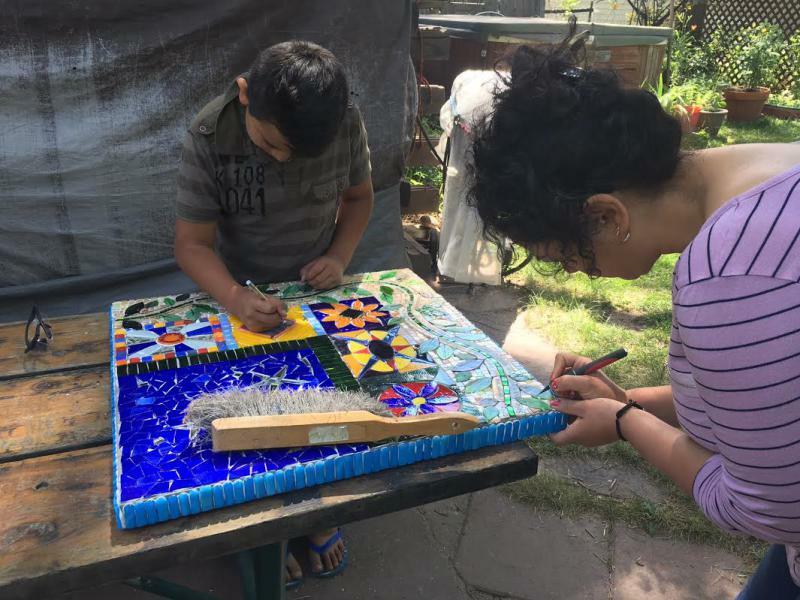 Community Mosaic Days are Thursdays from 2 to 4 pm and Saturdays from 10 am to noon through July 14th. To reserve a space, contact paradiseartglass@sopris.net.